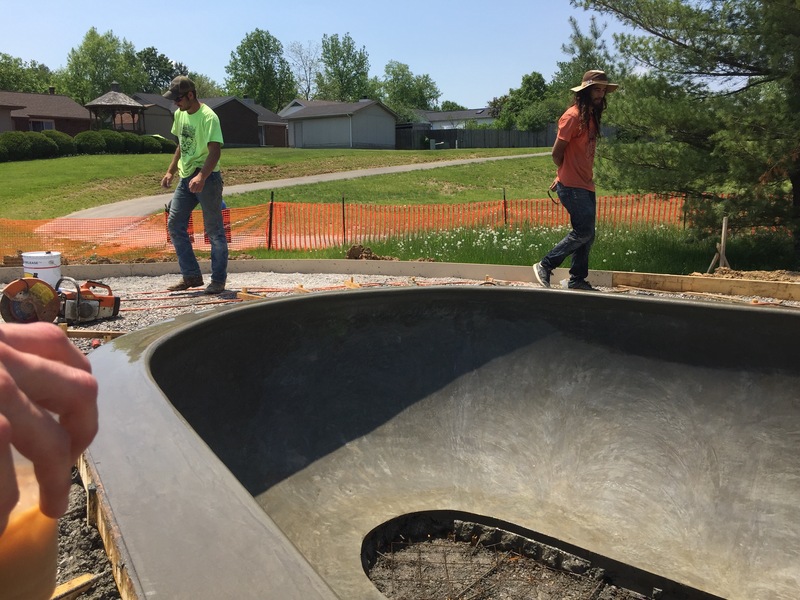 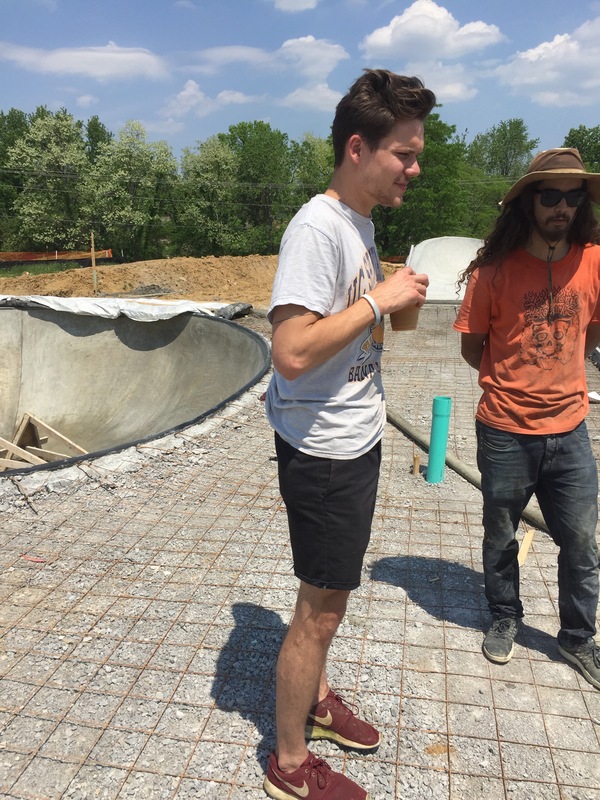 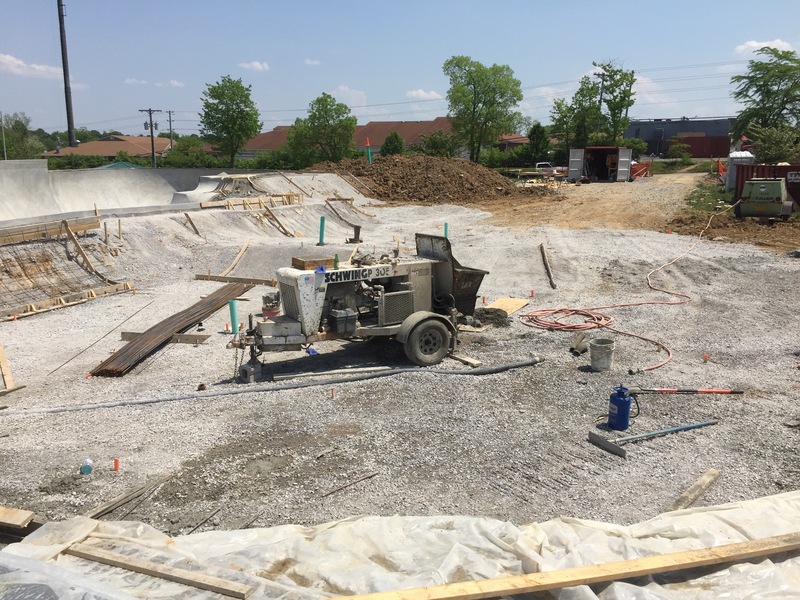 Berry Hill Skatepark Construction heating up! 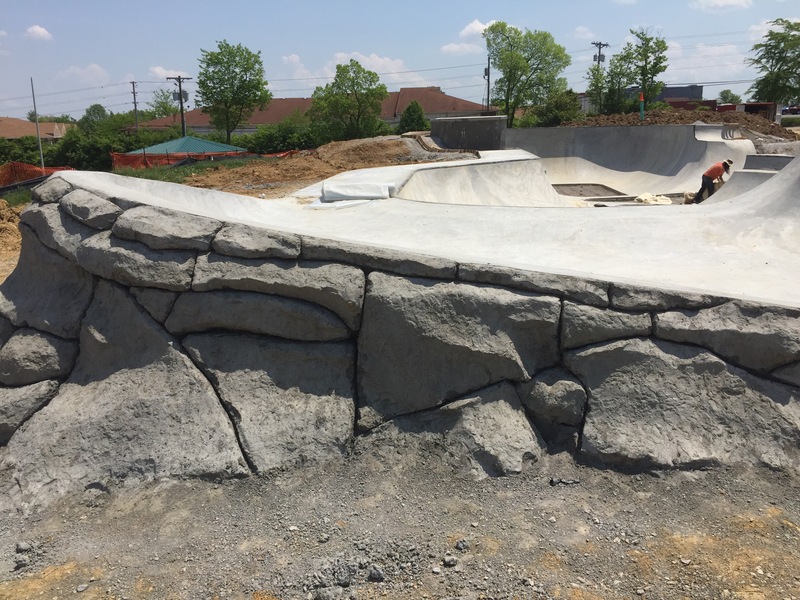 Just stopped by the park and a lot has been going on! 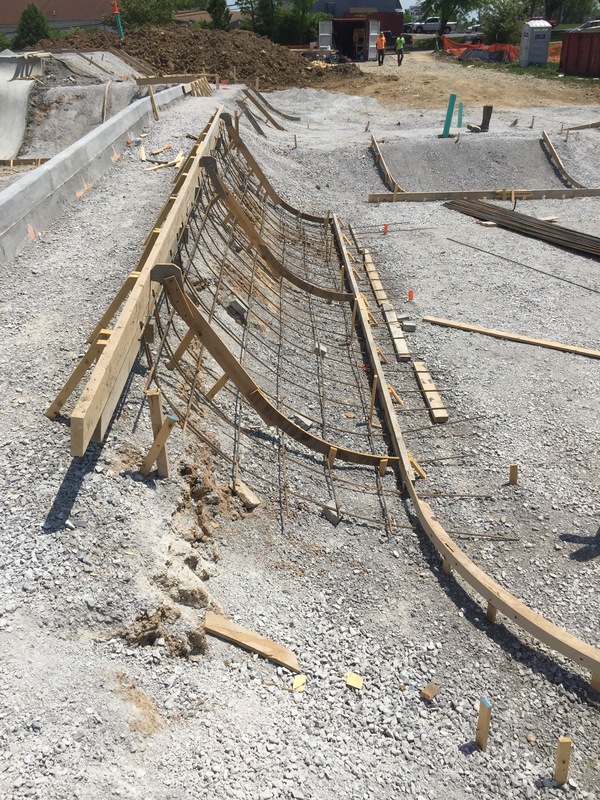 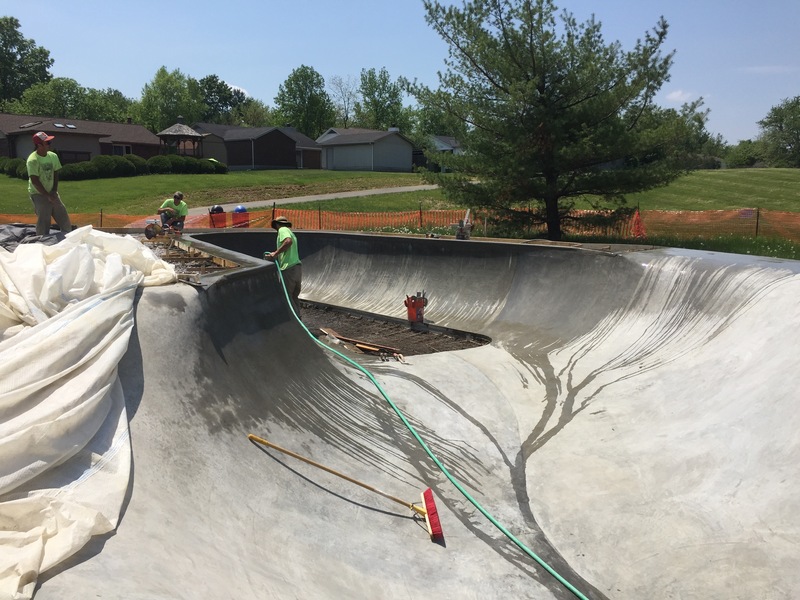 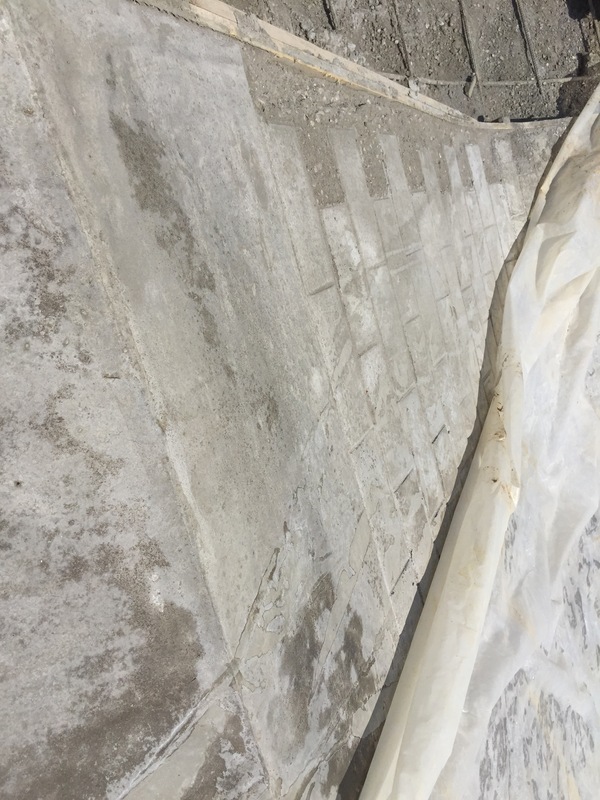 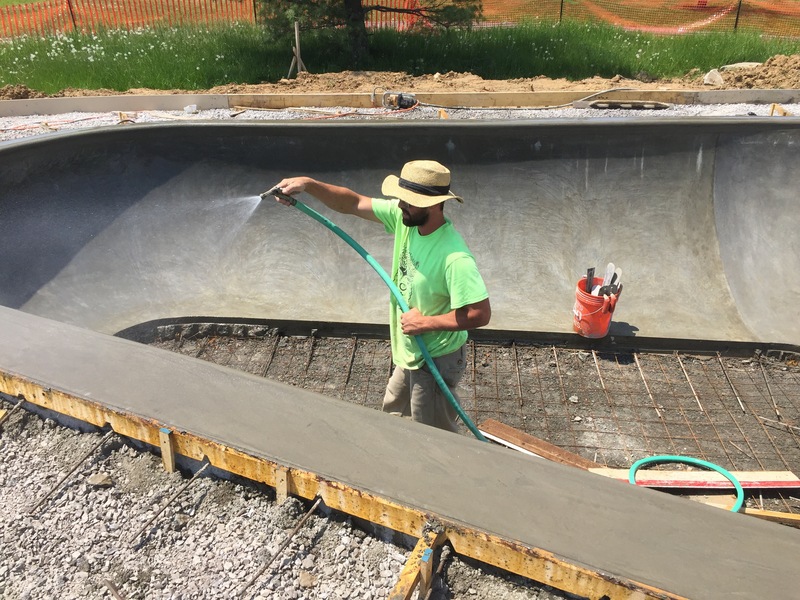 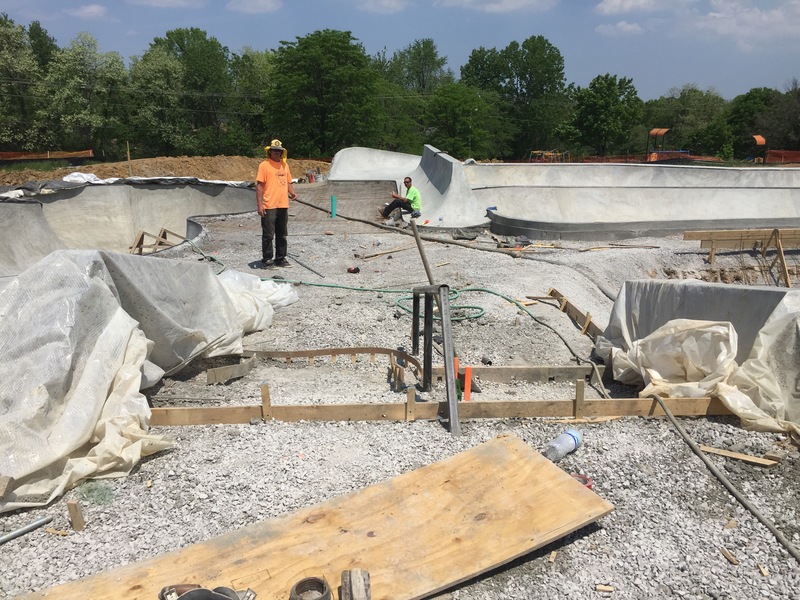 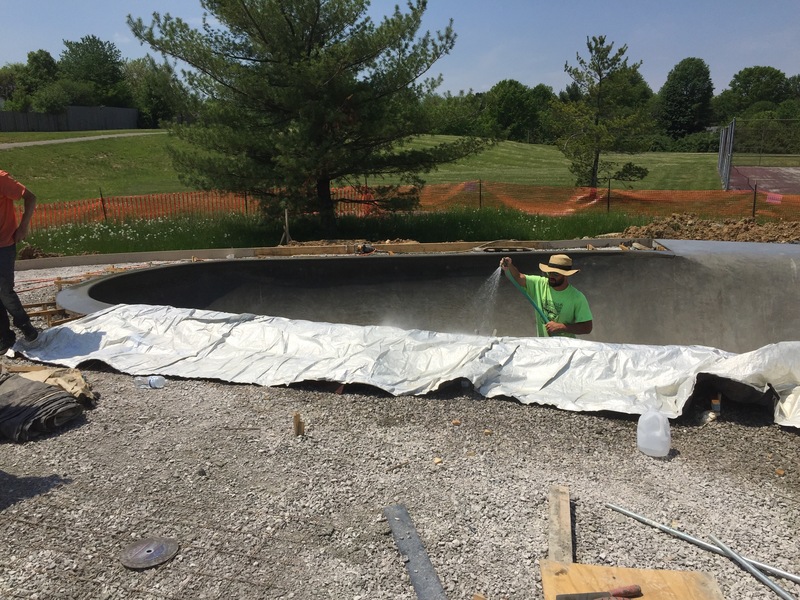 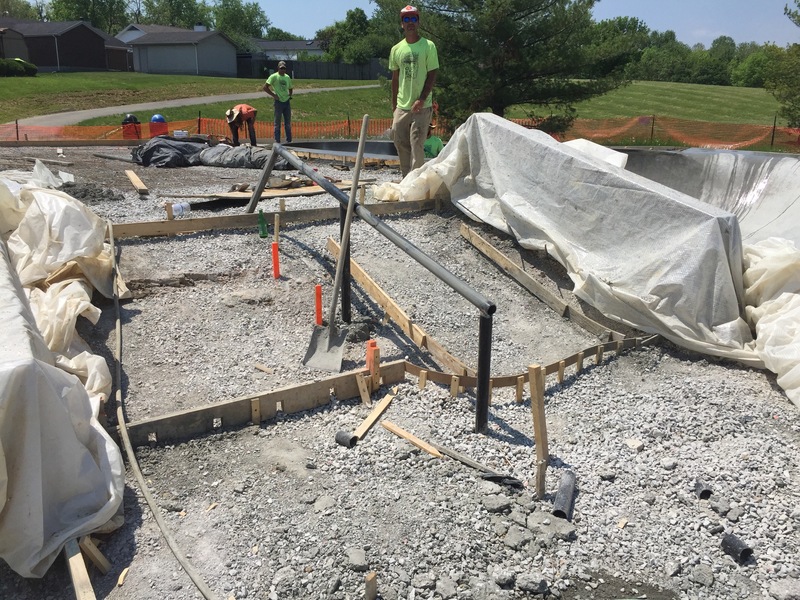 Check out the stair section going in, hubbas (covered), brick banks, street section construction and the fresh pool coping they just finished in the shallow end of the snake run when I arrived! 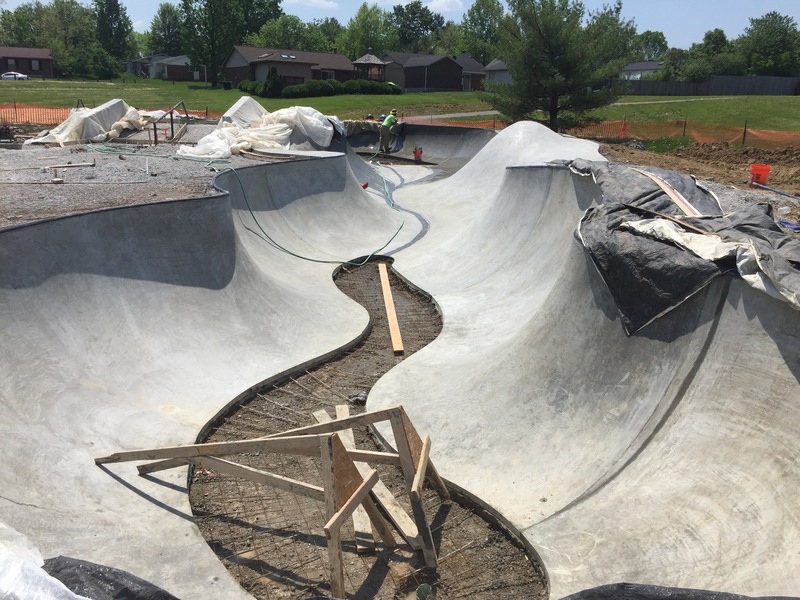 Have they given a date of completion? 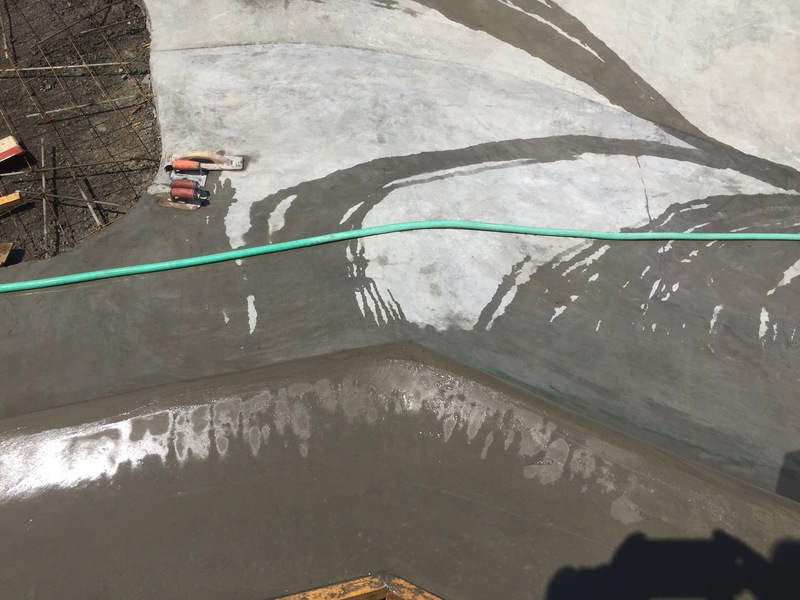 I am counting the days.